Clicking the ‘continue’ button prompts you to install the rogue Facebook application shown below. 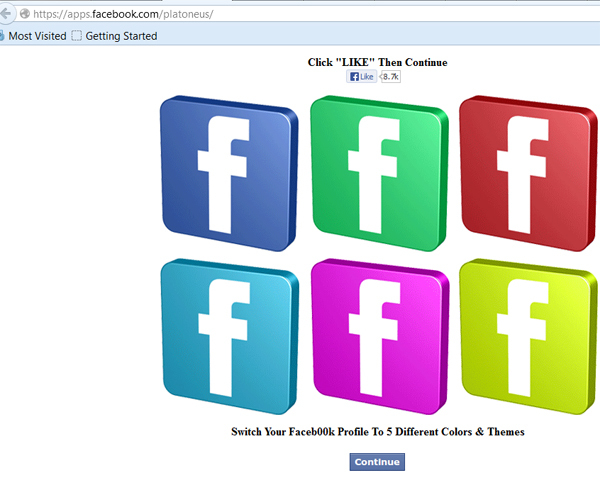 Anytime the URL starts off with apps.facebook.com/app_name_here, you should know that Facebook didn’t develop the app. 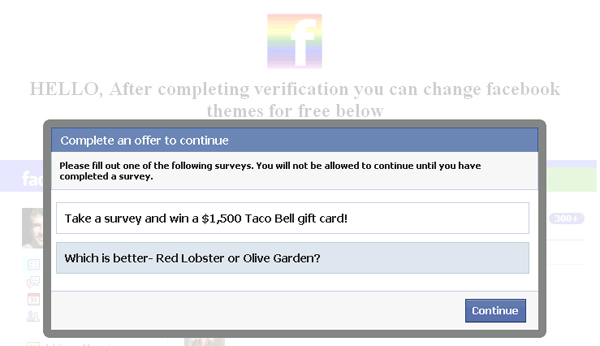 Scammers often try to trick users by promoting apps promising Facebook features, upgrades, etc. If an unsuspecting user installs the application, this will allow them to spam their scam messages to all of your friends. 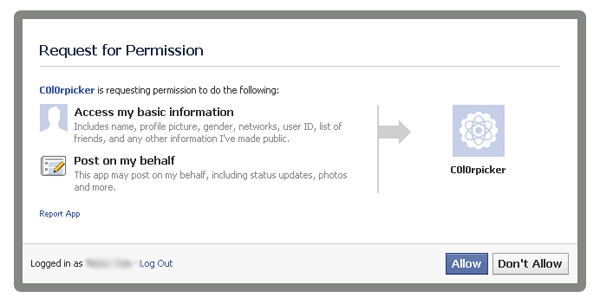 Do you really want to let an unknown (scam) developer have this much access to your Facebook information? These scams are known to use multiple Facebook apps to spread virally across Facebook. We recommend that users install BitDefender Safego, a Facebook application that will scan your News Feed and help keep you safe from scams like this. If you did make the mistake of installing the rogue application you are now spamming the very same spam message to your friends. Clean-up your news feed and profile to remove references to the scam. (click the “x” in the top right hand corner of the post).